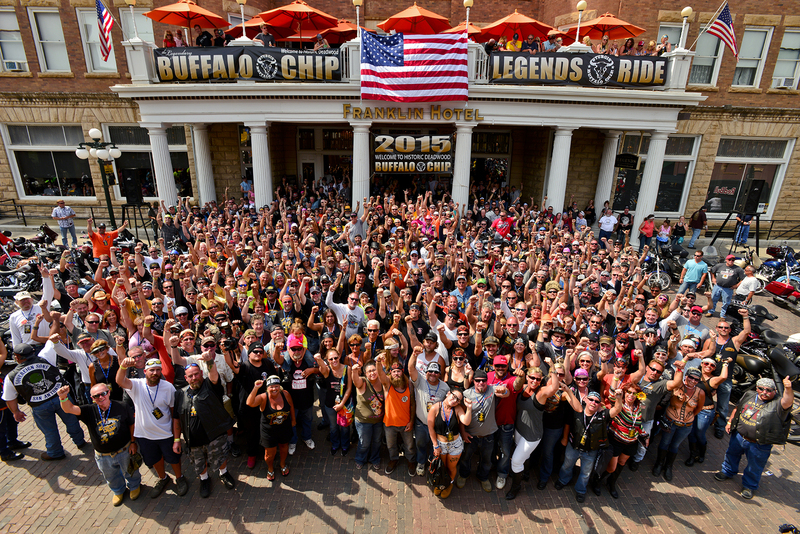 The 2016 Sturgis Buffalo Chip® Legends Ride will benefit local charities and give riders the opportunity to meet and mingle with Hollywood stars and industry celebrities. Having raised over $450,000 for charity since its inception in 2008, the Legends Ride has played host to some of the biggest names in television, film, music and motorcycling, along with riders from all corners of the world. Many celebrities attend the annual rally each year, but it can be difficult to locate a favorite star among the crowds. The Buffalo Chip’ s signature charity event the Legends Ride has long been known as the most likely event at which fans may meet Hollywood stars and motorcycle industry celebrities. 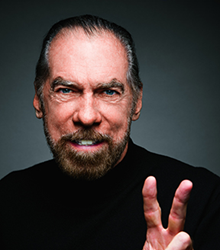 So far for 2016 billionaire businessman and philanthropist John Paul DeJoria, movie and TV star Tom Berenger, writer, director, producer and actor Carmine Cangialosi, and a host of industry leaders and customizers have confirmed they will attend the 2016 “Ride that RocksTM” on Monday, Aug. 8. More celebrities will be announced as the event draws nearer. Although meeting and riding with celebrities has been enough reason for this event to sell out for eight consecutive years, guests will also feel great knowing the Buffalo Chip will donate 100 percent of their rider fees to some very worthy local charities. In an effort to help create a permanent athlete training facility for Special Olympians in the Black Hills, $100,000 in future Legends Ride fees have been pledged to renovate an existing facility to meet the growing needs of the organization. The 127 Special Olympians who are members of the “Rapid City Flame” team have been training in various borrowed locations over the past few years, but they are now in need of a facility that will offer team members a sense of permanence and accomplishment. For the past three years, Legends Ride contributions have been used to purchase a van to transport participants to practices and events; now the need for a facility is a priority. Southern rock gods Lynyrd Skynyrd and pop-rock crossover sensation Elle King. The Legends Ride is truly iconic. Its high-profile, celebrity appeal has been featured on CMT, the National Geographic Channel, the Tonight Show, FX Network and the Travel Channel, as well as in countless print, online and newspaper articles. Those wishing to meet, ride and party with the stars, all while raising money for worthwhile charities, may purchase passes for the 2016 Legends Ride may do so by going to LegendsRide.com or calling 605-347-9000. The Sturgis Buffalo Chip® remains one of the world’s most televised and longest running independent music festivals. To date the it has donated more than $550,000 to deserving charitable organizations including Black Hills Special Olympics, Black Hills Children’s Home, Sky Ranch for Boys, Sturgis Motorcycle Museum, Combat Wounded Coalition, America’s Mighty Warriors, Lakota Heritage and educational scholarships through the Buffalo Chip Challenge program. More details are available at http://www.BuffaloChip.com. The Sturgis Buffalo Chip’s Legends Ride is dedicated to bringing rally goers together to raise significant funds for local charities and the Buffalo Chip Challenge Scholarship Program. Having raised over $450,000 for charity since its inception in 2008, the Legends Ride has played host to some of the biggest names in television, film, music and motorcycling, along with riders from all corners of the world. The Sturgis Buffalo Chip is the Largest Music Festival in Motorcycling™. Established in 1981, the venue’s nine-day festival, known as The Best Party Anywhere®, remains one of the world’s most televised and longest running independent music festivals. Buffalo Chip guests have the freedom to party and play while experiencing world-class concerts, outrageous events, moving freedom celebrations, thrilling PowerSports and more. Located three miles east of Sturgis, SD on 600 creek-fed acres, it offers cabins, RVs, camping, a swimming hole, bars, mouth-watering food, showers, paved roads, and more to visitors traveling from all corners of the world. The Chip's concerts are free with camping. More details are available at http://www.BuffaloChip.com.